American Horror Story is one of my favorite shows of all time. Unfortunately, not everything about the show can be perfect. The show has had its weak moments, and its strong moments. Most of the strong moments happened in earlier seasons. But the later season had their magic, too. Today, I'll be counting down the seasons, from the worst, all the way to the best. For such a promising premise, this one just went so, so wrong. It killed off two characters from other seasons (including Queenie, whose death I shall never get over). The characters were pretty awful, too (except for a few very good characters). They didn't really seem to know what to do with their stellar cast, especially Angela Bassett. For the most part, I didn't care about the fate of any of the characters. The plot really made no sense, and went nowhere fast. 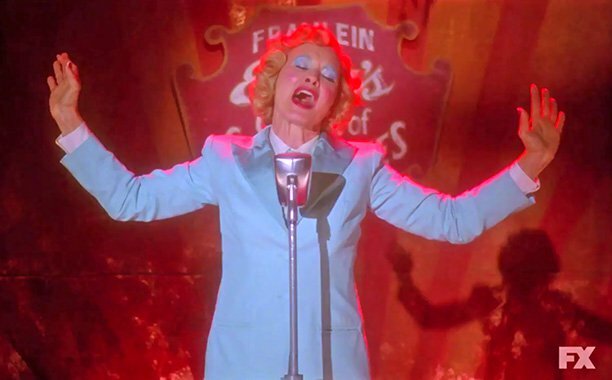 It also suffered from the loss of Jessica Lange, who was desperately needed to salvage this dumpster fire. It kills me to say this, but this was the first season of AHS that I didn't even care about in the slightest. While I enjoyed the start of the seventh season, it went off the rails quickly. Filled with convoluted plots, clown masks, and far too many political references for my liking, this season was just a dumpster fire. It took away the supernatural element of the previous seasons and replaced it with the same blood and gore you can see in any other basic horror show. 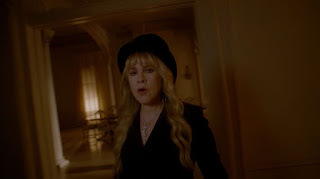 It just didn't feel like American Horror Story, and with much of the show's original cast nowhere to be found, it really wasn't. Roanoke was a huge improvement over Hotel, that's for sure. But pretty much anything would have been. I didn't dislike Roanoke or anything, it just wasn't consistent at all. I hated the premiere and the finale, but the middle episodes were mostly solid. 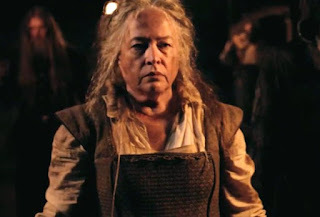 The acting in Roanoke was good, but Kathy Bates really stood out as the Butcher. She was such a fun and interesting character, and Bates brought her to life perfectly. The storyline here was actually pretty good, but it did take a few episodes to get used to the documentary aspect. 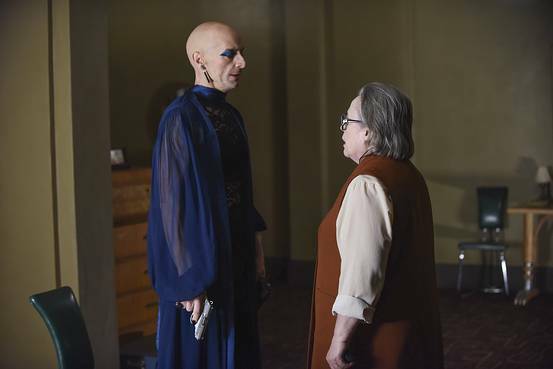 Evan Peters and Denis O'Hare were grossly underused this season, and the Taissa Farmiga and Frances Conroy appearances were disappointing. 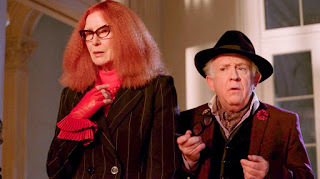 However, new additions to the cast like Adina Porter and Cuba Gooding Jr, and returning cast member Leslie Jordan all had strong performances in the season. While there was a lot to hate about this season, it wasn't all bad. This was the first season of American Horror Story that I watched, so there's some nostalgia here. But I genuinely enjoyed this season, and cared for most of the characters. The end was heartbreaking for me. Elsa was a top-notch character, despite the fact that she was Lange's least-strong character. Dandy was a fantastic villain that met an even more fantastic fate. Maggie was one of Emma Roberts' greatest performances to date. Ma Petite's death was tragic, and really tugged at the heart strings. But some characters (and I love you NPH), such as Chester, were awful and made no sense. The rapid killing of many characters in the matter of minutes was sloppy and awful. Twisty was just odd, though he had some potential. Dell was... less than stellar. This season was still strong, but was ultimately the weakest Lange-led season. I loved this season, so I hate putting it at #3. But it isn't quite as good as Asylum or Coven. I loved the Constance, Violet, and Billie Dean characters. They were fantastic. Tate was such an odd, interesting character. He completely changed the course of the season, and I loved it. The death of Adelaide was tragic, and Constance trying to get her to the yard really showed her love for her daughter, which I loved. The season was so entertaining. I would love to see them revisit the Murder House with a new family, with appearances by the old cast, of course! Asylum was so fantastic. And it killed me to name it the second best. But alas, it had to be done. The season was great, and was very scary. It and Murder House are essentially tied for pure awesomeness. 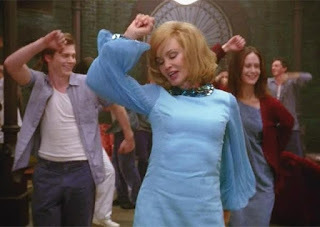 The Name Game is one of my favorite moments in AHS (and TV) history. Jessica Lange was so fantastic in this season that the Emmys committed a crime by not giving her the Emmy. Sister Jude and her fall to madness were both moving and downright awful. Her death remains one of the most moving and heartbreaking moments of the entire show. Lana Banana was also an amazing character, as were Pepper, Kit, and Mary Eunice. My only problem with this season is the present-day nonsense. I didn't care for the whole Shelley story either. She was a really odd character that was easily overshadowed by more interesting ones. This is by far my favorite season, and is one of the greatest television programs I've ever seen. It's honestly in my top 5. I just adored the Stevie Nicks appearances. The characters (except Kyle, who was more annoying that anything) were all fantastic. The acting was top notch. The fact that it takes place in my favorite city in the world is awesome. This season was perfect. It's so great, I'll be watching it again soon (something I don't do with many shows). 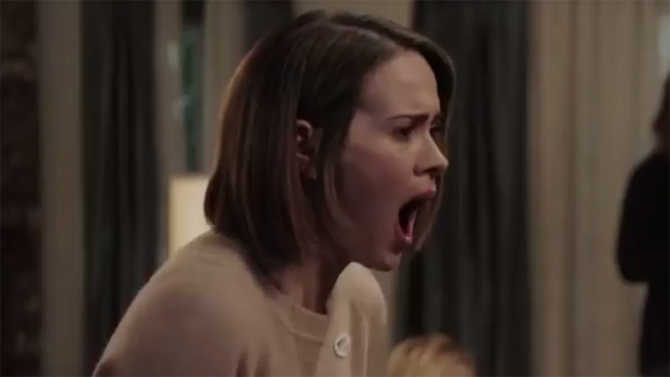 I loved that it didn't rely on wholly on shock value, something that too many AHS episodes do. Plus, it brought my favorite AHS characters ever, Myrtle, Madison, Misty, Cordelia, Zoe, and Fiona, into the world. I can't wait to see what else Ryan Murphy, Brad Falchuk, and the rest of the AHS crew have in store for us over the next few seasons.